This highly comfortable HPK-1010T headset comes with a 3.5mm To Go plug that is compatible with iOS and Android-based smart phones, mobile devices, and tablets for a truly mobile experience. 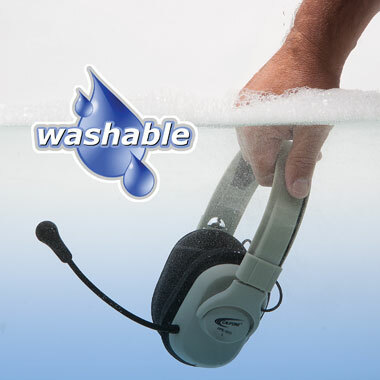 Take the worry out of children re-using the headset, as these are washable, which also keeps them looking and feeling new over the long run. The detachable, yet strong 6 foot cord can easily be removed, allowing for durability without the worry (must be removed before washing). The durable but soft headstrap makes it easy to wear it over long periods of time. Experience exceptional noise-distortion reducing volume control, with the noise-reducing earcups that lower ambient noises. 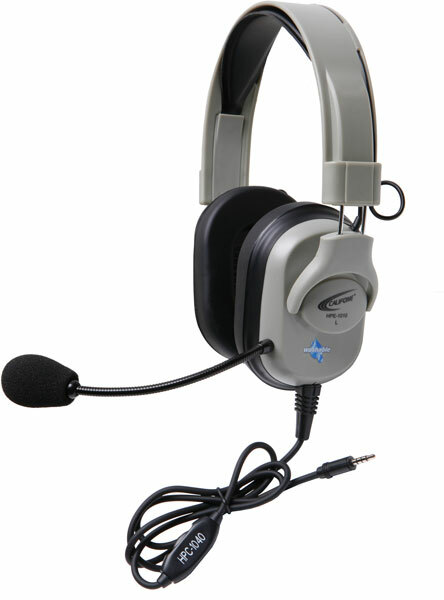 Both headstrap and earcups made from high quality ABS plastic. Built-in sound control switch for protective hearing at optimal decibel levels. Noise-reducing microphone with reinforced boom adds to the durability of this product.